You are here: Home / Blog / casinos / How accurate is geolocation tech used by NJ online casinos? How accurate is geolocation tech used by NJ online casinos? The accuracy of New Jersey casinos geolocation technology, or at least the technology they employed historically, has been thrown into question. A Californian man named Vinh Dao was recently ordered by New Jersey’s Division of Gaming Enforcement (“NJDGE”) to hand over $90,000 in winnings he’d manage to rack up at various Borgata and Caesars Interactive licensed websites. The reason: he wasn’t authorised to play the casino games as he was logged in from California, not New Jersey. You’re probably thinking the same thing I am. Firstly, how did he manage to win $90,000 playing online casino games? And secondly, but more relevant to this post, how did a player in California manage to take part in New Jersey’s closed, intra-state online casino market? More on that below. What is geolocation & why New Jersey casinos use it? Geolocation technology pinpoints the location of an internet user. All online casinos, not just those in New Jersey, need and use it. William Hill won’t allow someone in Australia to play their casino games. Royal Panda won’t allow someone from the Netherlands to play theirs. With a couple of exceptions all live casinos listed on this site block players trying to access their services from within the United States. All casinos have different accepted jurisdiction polices and to enforce those policies they need to know where players are logging in from (they don’t take players at their word surprisingly). For most online casinos, geolocation at a country level is sufficient. New Jersey casinos, who are only authorised (presently) to accept bets from players inside state borders, need to be a little more accurate. Like Resortscasino.com, they must all ensure customers are physically present within state lines in order to be able to use the service. This presents a real challenge given the how densely populated the state is at its borders. It skirts the cities of New York and Philadelphia after all. Currently licensed by NJDGE to participate in the NJ Casino market…. Dao managed to open accounts and play at New Jersey online casinos playing via a VPN. A VPN which acts as a secure, encrypted gateway between your computer and the website servers you are accessing. VPNs let you select the IP location of that gateway, so your visible location (to the websites you are surfing) can be somewhere other than where you are sitting in front of your computer. So, sitting at home in California, Dao simply logged into his chosen VPN service, selected a gateway server in New Jersey and went on his merry winning way, until the casinos and NJDGE eventually smelled a rat. He then had to forfeit his accumulated winnings ($90,000) which have now been donated to carious charitable organisations. He was allowed to keep $2,500 because he had cooperated fully with investigations. Before you log onto your VPN and go searching for a NJ casino to sign up to, it’s worth noting that this would not work today. Dao began his gambling adventures back in 2014, when the NJ casino industry was still in its infancy and geolocation technology wasn’t what is is today. Besides the fact that a VPN connection would now be an instant red flag, the casinos today use multiple layers of technology to pinpoint players location, not simply IP addresses. Wi-Fi triangulation is the additional (and far more accurate) layer to IP address interrogation. Any Wi-Fi connected device can be accurately located based on a triangulation of the Wi-Fi access points or hotspots it is connected to. As well as being accurate, Wi-Fi triangulation will work in situations where GPS or satellite based tracking will not, like indoors. How accurate is casino geolocation tech now? Back in 2015 MIT’s technology review reported locating devices using Wi-Fi triangulation with a median accuracy of 40cm. That accuracy would only have improved today. There is anecdotal evidence of players from New York walking or cycling the George Washington bridge just past the New Jersey mid point to place their bets and then returning to the exclusion zone just metres to the New York side of the bridge. 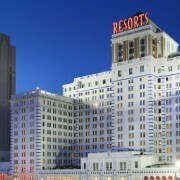 GeoComply is one of the companies licensed by NJDGE to provide location services to NJ casinos. In a 2014 GeoComply press release they explained how the technology of the day warranted employing substantial buffer zones along the NJ border (ie zones where they could not be sure if you were inside, or outside). Players caught in these zones were excluded even though it was possible they were inside New Jersey. This (and other inaccuracies) resulted in almost 10% of eligible players being incorrectly excluded back then. The false negative rate today with a location accuracy measured in centimetres would be a lot lower. Presumably the buffer zone, if it still exists would be considerably narrower. https://www.livedealer.org/dev/wp-content/uploads/2019/03/nj.jpg 312 300 LD https://www.livedealer.org/images/Livedealer-logo.png LD2019-03-21 16:42:222019-03-21 16:48:23How accurate is geolocation tech used by NJ online casinos? 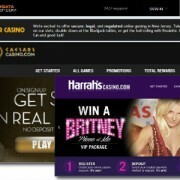 Online casinos coming to New Jersey?